Forecasters in the region predict an average cyclone season for the Pacific Islands, but Fiji is still recovering from the last major hurricane to batter the island nation. People inspect the damage from Cyclone Winston at the Namuimada settlement in Fiji on February 26th, 2016. The Atlantic hurricane season this year was, in a word, relentless. For the first time in more than a century, 10 storms in a row grew to hurricane strength. As predicted, the conditions were ripe for a lively season, and a total of 15 named storms had spiraled across the Atlantic by mid-October. It could take months or years for Texas and Florida to recover from Hurricanes Harvey and Irma; Puerto Rico, where the majority of the population is still without power and almost a quarter lacks access to water in the wake of Hurricane Maria, will likely never be the same. The 2017 season ranks eighth in accumulated cyclone energy—a collective measure of storm intensity and duration—since 1851 when records began. And there&apos;s still at least a month left. As storms wind down in the Atlantic, the cyclone season is just beginning in the Pacific. In October, New Zealand&apos;s National Institute of Water and Atmospheric Research released its forecast for the 2017–18 season, which begins in November and ends in April. By comparing the current climate conditions in the Pacific to records from past years that began with similar conditions, NIWA predicts that as many as 10 named storms could develop in the region during that six-month period—a relatively normal season, in other words, according to the forecast. Three or four of those storms could strengthen to Category 3 cyclones or higher. The forecast notes that, in past seasons, similar conditions have produced Category 5-strength cyclones as well. Fiji, which is still recovering from 2016&apos;s Cyclone Winston, the last Category 5 storm to hit the islands, can expect two or more cyclones this year, according to the forecast. Winston was the strongest storm to hit the Southern Hemisphere in recorded history, leaving 44 dead and tens of thousands homeless on the island nation home to fewer than a million people. All told, the cost of the damages wrought by Winston topped $1.4 billion—more than a third of Fiji&apos;s gross domestic product. 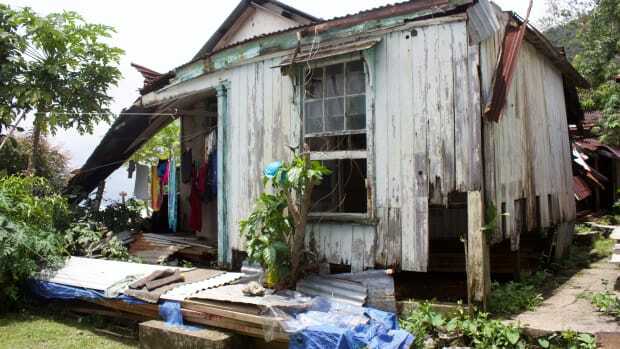 As is often the case, the disaster hit Fijian women the hardest. At the evacuation centers, there were reports of violence and sexual assault, according to Maria Nailevu, a gender-equality advocate with the Fiji-based non-profit DIVA for Equality. Nearly two years later, some are still living in tents. 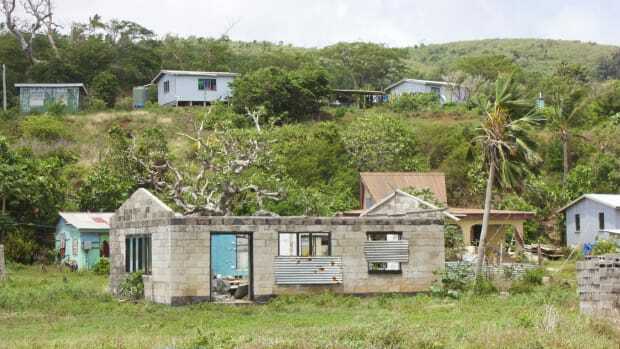 "These women are living in tents where they can’t lock the doors, they are not safe in their own homes," Nailevu says, adding that weathering even a normal cyclone season in such structures is far from ideal. "Now we are heading toward November again," Nailevu says. "What&apos;s going to happen if there&apos;s another cyclone? You can just imagine the hardship." 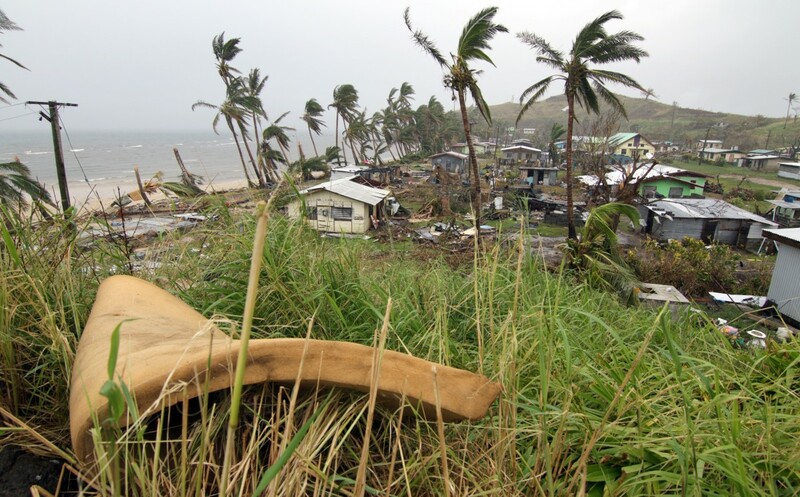 In the wake of Winston, Fijian officials blamed climate change for the intensity of the storm. On the one-year anniversary of the storm, Fiji&apos;s President Jioji "George" Konrote called for action on climate change: "Fiji intends to do whatever is in its power to persuade the global community about the root cause of extreme weather events such as Winston, that are causing so pain for our people and other vulnerable nations around the world," Konrote said. "We must get the community of nations to continue reducing carbon emissions; this is a fight we must win—our entire way of life is at stake." Deep and immediate cuts to greenhouse gas emissions will undoubtedly be critical in preventing the most frightening effects of climate change in this vulnerable region. 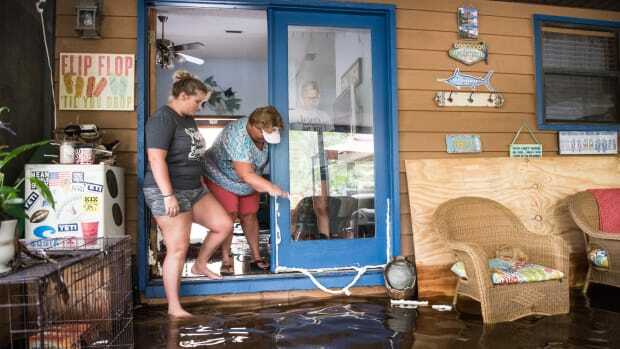 But even climate scientists, who have been warning the public for years that global warming will intensify storms, were surprised by the ferocity of the Atlantic hurricane season. And climate change is also predicted to bring fewer but fiercer cyclones to the South Pacific, which makes adaptation all the more important. "Our case in point was Hurricane Winston." says Nilesh Prakash, director of the climate change division of Fiji&apos;s Ministry of Economy. 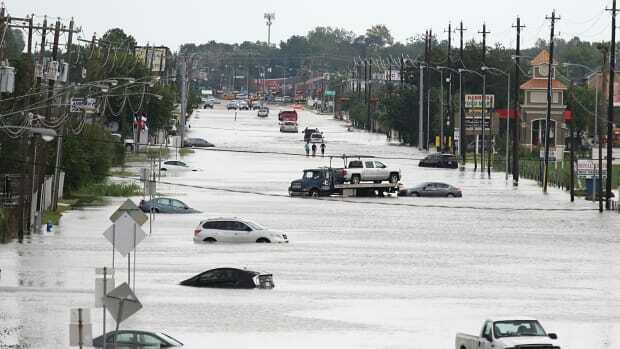 "If we don&apos;t climate-proof our infrastructure, what if another storm of similar magnitude hits us?" In the wake of Cyclone Winston, nearly every village on Koro Island is relocating further inland. On Fiji's Koro Island, locals talk about how climate change and stronger cyclones are re-shaping their villages. 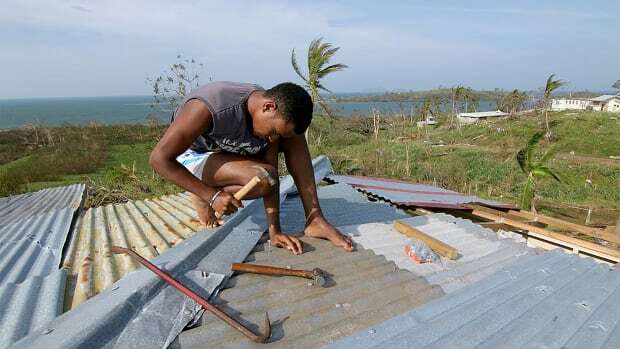 Nearly two years after Cyclone Winston destroyed their homes, one extended family in Fiji prepares to weather another cyclone season in government-issued tents that are wearing thin. And many of the regions hit hardest by last year's historic hurricane season haven't fully recovered yet. Pacific Standard spoke with a hurricane forecasting expert on this record-breaking storm season and what might still be in store. 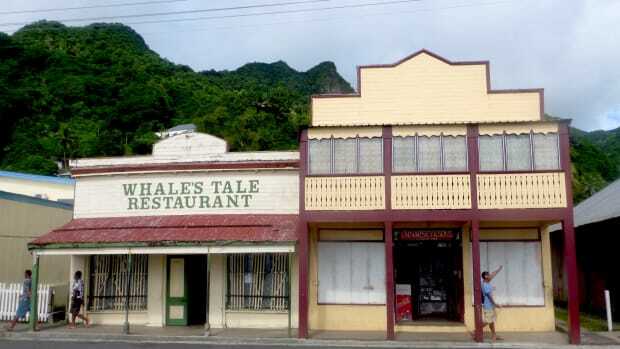 In Levuka, locals talk about what it's like to live on the front lines of climate change.